Hi, I’m Tiffany. Welcome to my blog! I am a native of Chicago, Illinois and have spent the last 13 years as a TV journalist. 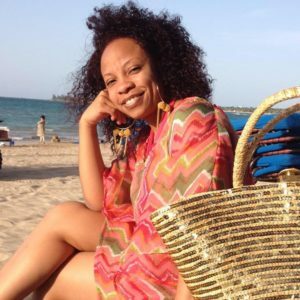 Since being bitten by the travel bug upon receiving my first passport stamp to La Romana, Dominican Republic, I’ve made it my mission to see the world and inspire others to do the same. This blog is extremely special to me. I created it in a leap of faith to give you a glimpse into just how beautifully exciting new adventures can be. Every experience is important. Whether it’s a visit to the hole-in-the wall restaurant in your neighborhood, a road trip a few hours away or a lavish getaway to a foreign country. Here, I’ll show you that simple moments can be just as beautiful and impactful as grand ones. It is my hope that people will be inspired to get up and GO! The biggest investments made in life are not in things, but in the memories we make along the way. Hopefully you read a story, view a photo or receive some helpful tips that will push you to leave the nest and see new places. I look forward to interacting with all of you. Feel free to leave your comments or send me an email with any questions. Also, re-post and share if you read something that you really enjoy!